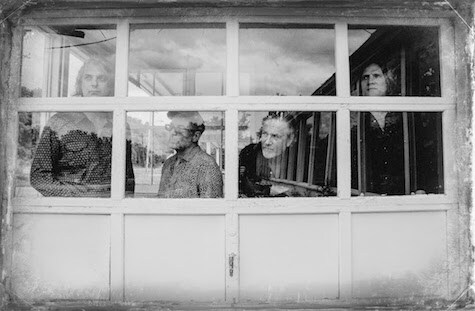 As if on cue, The Church today released a new video from their upcoming album, Man Woman Life Death Infinity, which comes out Friday. The band plays tonight at The Waiting Room with The Helio Sequence. Tickets are $30, show starts at 8 p.m. Before you go, read my Ten Questions interview with Church frontman Steve Kilbey. The Church plays The Waiting Room Oct. 10. If you listened to college music in 1988 you owned a copy of The Church’s seminal album Starfish, with its breakthrough hit, the dreamy, atmospheric “Under the Milky Way,” a song that dominated CMJ and MTV. Afterward, the Aussie band released 14 more studio albums, leading up to 2014’s Further/Deeper (Unorthodox Records), which, in some ways, marked a re-emergence for a band that’s always been around. Now comes the band’s 26th studio album, Man Woman Life Death Infinity, out Oct. 6. It’s the second album with the rejuvenated line-up consisting of frontman Steve Kilbey, co-founder Peter Koppes, Tim Powles and Ian Haug. The tour that brings them to The Waiting Room Oct. 10 is their first since 2015. The Church’s Steve Kilbey: Diamond Dogs by David Bowie… or do you mean by The Church? Then that is Priest = Aura. By The Church? Maybe “These Boys” off Remote Luxury. Playing onstage when we are having a great night. Playing onstage when we are having a bad night. Chicago, Melbourne, London, Atlanta to name a few. I once had a terrible gig in Christchurch New Zealand. Everything was wrong. I wanted to disappear! I am squeaking by on music, plus I paint and write articles, etc. Love to have been an ancient greek scholar. Hate to be a mathematician. I played there once. I dunno if they liked us much. Hope they do this time around. The Church plays with The Helio Sequence Oct. 10 at The Waiting Room. Tickets are $25 Adv./$30 DOS/$99 VIP. Showtime is 8 p.m. For more information, go to onepercentproductions.com.